Last month, Filipino netizens on Twitter had a field day when author Neil Gaiman shared his love for our mythology and folklore during an online Q&A. By field day, I mean post upon post had popped up talking about our very own literary scene, rich with novels and other works taking inspiration from our myths. It also brought to light a sad little fact: Many Filipino readers are yet to be exposed to the Philippine mythology genre, and that for many, Western acknowledgment remains the strongest form of validation. But here’s a piece of good news. Aside from the many local writers who have already created—and continue to create—stories inspired by and that build on our rich mythology and folklore, another author is set to publish a novel that would potentially open our lore to the rest of the world. At the recent Philippine Readers and Writers Festival, we got a chance to chat with 2018 Newbery Medal winner Erin Entrada Kelly. 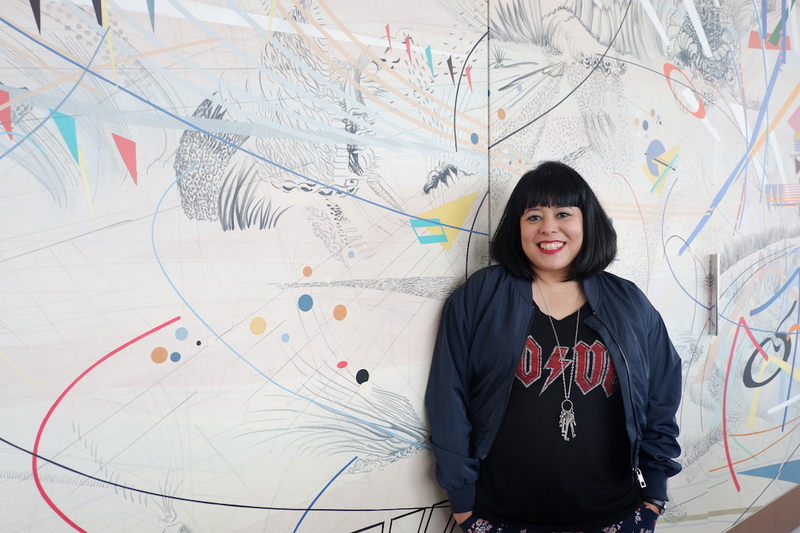 The Filipino-American children’s book author shared with us some details on her upcoming fantasy novel, her writing process, and the story of how she came to understand and get inspired by her Filipino heritage. A lot of your books feature characters that are of mixed race or Filipino. In some of your previous interviews, you mentioned that this is based on your own experiences growing up in the United States. You also mentioned that at one point in your life you felt kind of embarrassed or resentful towards your mother about your heritage because your were the only Filipino in your neighborhood. How did you come to terms with being Filipino and what led you to use that as inspiration for your books? As I got older, I started really listening to my mother and her stories about growing up and her stories about the Philippines, and I realized that all the things that I was going through—feeling left out and different—my mom went through the same thing when she came to the States. Except for her, she didn’t know anyone, and her English was so-so. I started thinking about that she went through the same thing, that it was more challenging for her. And so once I thought about that, I had this new respect for my mother and my heritage. And the more I asked her questions, the more I wanted to know. The prouder I became of my background and I learned to embrace who I am. Being raised in the US, how were you acquainted with the culture? Was it all through your mother? Was she very adamant about practicing it at home, even when you were a kid? She was. She was very proud, and she would tell us stories all the time. We would have a Sto. Nino in our house, and she, you know… it’s who she is, so that’s what she shared with us. So it was all through my mother because we weren’t in a big Filipino community. It’s good that she was really continued to practice all that, because some Filipino immigrants try to forget the culture they grew up with, or they don’t teach it to their kids. It’s great that she taught you that. Have you always wanted to write stories for children? No, I thought I would write stories for adults, or novels for adults, but the more I wrote as an adult, the more I realized that I was really drawn to writing for children, because they’re trying to figure out their way, and they need stories that can help them figure out their place in the world. And I love kids. I like kids more than grown-ups. You’re currently working on a fantasy based on Filipino folklore. Can you tell us a bit more about this? It comes out next year, and the title is “Leilani of the Distant Sea.” I like to say it’s inspired by Filipino folklore, I don’t want to say it’s based on Filipino folklore, because some of it is a little different, but Filipino readers will recognize elements. It’s in a fictional society, and it takes place on an island. It’s about a 12-year-old girl who is looking for all of life’s good fortunes. So she goes on a quest to find that. She encounters all kinds of interesting creatures and challenges on the way, and I’m very excited about it. It’s supposed [to come out] summer of next year. Philippine mythology is filled with all sorts of creatures—many considered terrifying. What elements of Filipino folklore were you particularly inspired by? I liked those elements about it, and I think the thing that I liked the most though is the role that nature plays in Filipino folklore. So trees and birds and the earth, you know, are very important. And so also the spirituality behind it, with ghosts and spirits and all those elements are woven into the book. How did you go about researching for the story? I read a lot of folklore. I got my hands on a couple of books, and there’s a website. I can’t remember the name of the website, but it’s a great website and it’s all about different mythologies and creatures, and [it’s] written by Filipinos. Because there are some folklore books but they’re all written by white people—I don’t know why. I kid. But there’s this website, I use that a lot. Of course the Philippines, because there’s so many cultures within the Philippines… everyone’s spread out, there’s so many different stories depending on where you are, so I researched folklore from Mindanao, the Visayas, Luzon, Manila, and there’s so many. And I kind of took from different elements that I liked. There’s so much to draw from. When did you start conceptualizing this book? Actually, the very first short story—I used to write short stories—and the very first short story that I ever got published, I think it was in 2008, it was in a magazine here in the Philippines called Story Philippines, it was a very good literary magazine. And it was a story about a girl who goes to search for all of life’s good fortunes on a mountain. So that’s when the idea first came to me, but I didn’t start writing it (as a novel) until a couple of years ago. That’s when I decided to start writing it. It’s difficult to write fantasy, and it’s a complex story, so it took me a while to get the confidence to try to write it. Most of your books are targeted towards children, and of course their experiences and their views are quite different from ours. What do you keep in mind when writing for kids? The main thing I keep in mind is that they are three-dimensional people. They have their own ideas, they have their own opinions. I think when we’re adults, we tend to dismiss their opinions because we think they’re naive or childish. But even when you’re a kid, you strongly believe in something, it will probably change as you get older, but I always want to respect younger people when I’m writing. That’s the main thing I keep in mind.